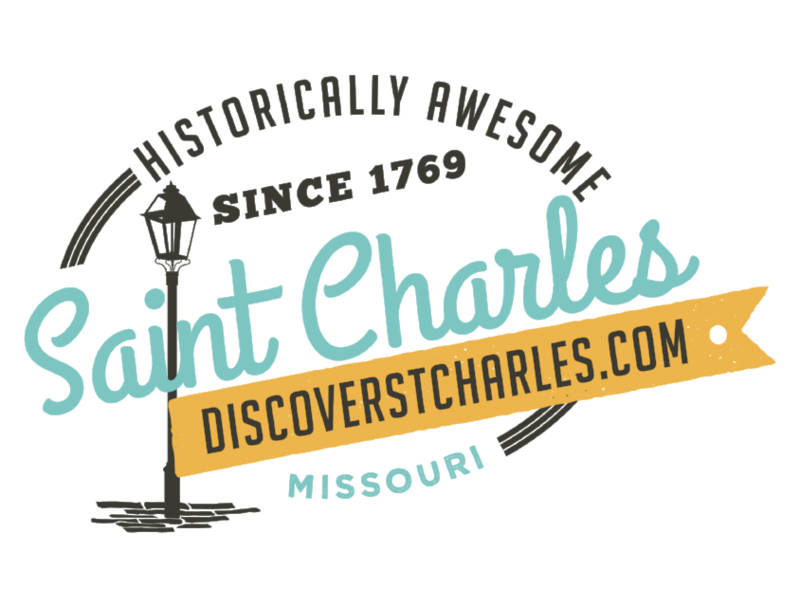 Want to truly experience St. Charles? We have plenty of local workshops and classes available to enjoy for locals and visitors alike. Here are just a few. If you’re feeling classy, love wine, or are a cheese addict like me, check out the classes at Cork & Rind. In their classes, Cork & Rind’s resident experts instruct attendees about wine, cheese, whiskey, or some combination of those things. I stopped by to witness their whiskey and cheese pairing class. The atmosphere in the class I went to was super laid back, and attendees who were strangers prior to it were enjoying each other’s company like old friends. 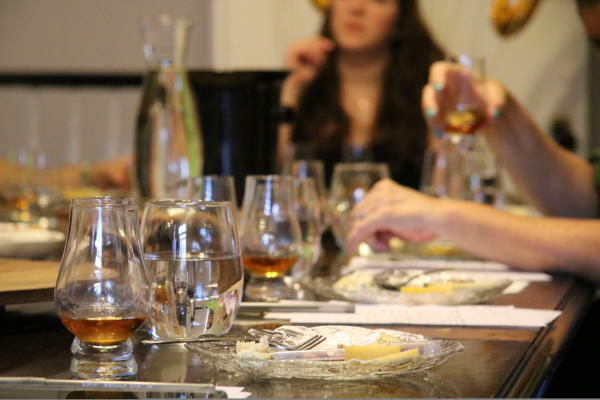 After listening to a description of the whiskey or cheese they were tasting, participants were encouraged to give their opinions and impressions of it. Everything from pineapple to Coca-Cola was detected, and there were no wrong answers. For more information about classes at Cork & Rind, click here. 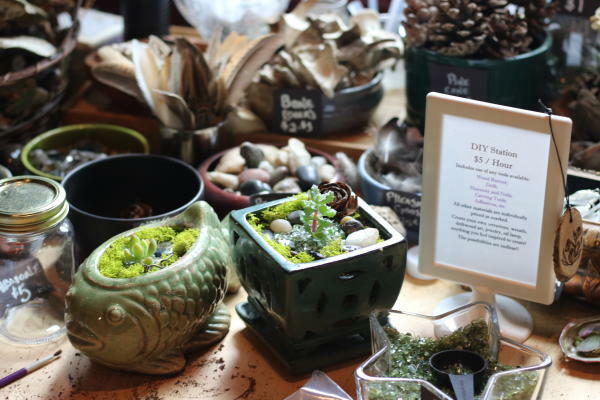 For the crafty plant lover, the classes and workbench at Frenchtown Secret Garden are wonderful. I loved the Secret Garden’s workbench. It was affordable, at $5 an hour for use of the bench and tools (wood burner, drill, hammer, carving tools, adhesives), plus the cost of materials. It was great to be set loose to sit and craft to my heart’s content. I made an adorable terrarium with one of their provided succulents and the stones, crystals, and shells from the bench. It’s a real treat to have such a variety of charming materials collected and at your disposal. The Secret Garden also offers regular crafting workshops on Saturdays. Follow them on Facebook to find out what classes are coming up! For more information about the Frenchtown Secret Garden, click here. If you have a sweet tooth or just a hankering to learn a new skill, join Jackie at the Foundry Art Centre for classes on cookie decorating with royal icing. Jackie is fun to be around, and her cookies are delicious. At her classes, for only $40 person, you’ll learn how to beautifully decorate cookies and then take 6 home. This class is for anyone from beginners to old pros. Adults 18 and up are welcome, and aspiring decorators 16 and up are considered based on skill set. 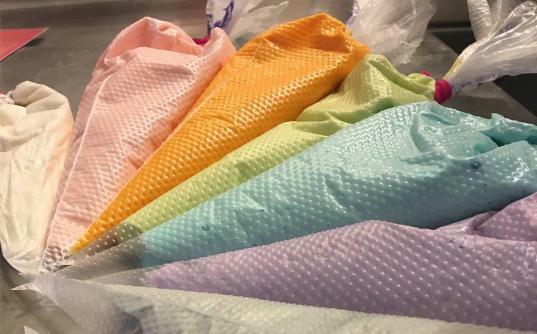 For more information about upcoming classes with Sugarbot Sweet Shop, click here. For a one-time workshop with a great product, check out the workshops at Aerie Lane. 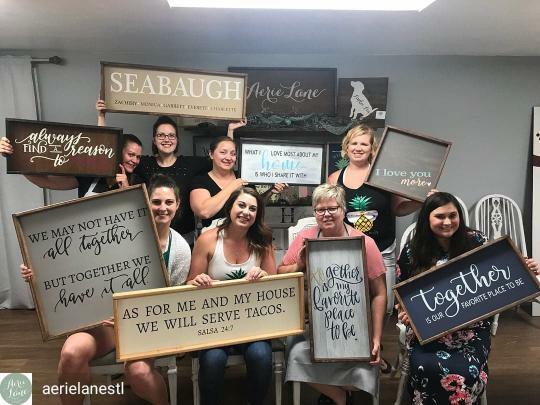 Aerie Lane opened up on Main last Fall and offers classes where you and your friends can learn how to make fun, unique signs. The signs at Aerie are great for welcoming friends into your home, or to adorn your wall with a creatively depicted, comforting phrase. Sign up to attend one of their scheduled public classes, or book a private class for a birthday, bachelorette party, or other events. For more information about workshops at Aerie Lane, click here. Several neat classes are offered at Missouri Artists on Main. I decided to attend a session of Raku Pottery with Holly Deckard. The Raku pottery class has been offered a few times, and Holly explained how this class is unique because of its firing process. 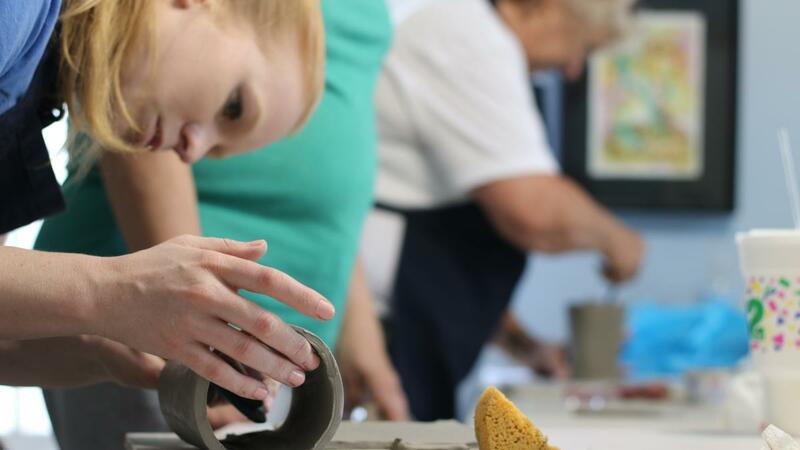 For the last session of the class, participants go to Holly’s home, where the pieces will be superheated, and then placed into a bed of try leaves, brush, or other materials that will light on fire upon contact with the heated clay, making for beautiful, one-of-a-kind coloring on the finished product. As each attendee worked on their different projects (bowls, cups, and containers), Holly bounced between students, answering questions and supervising their work. For more information about classes at Missouri Artists on Main, click here. For a historically awesome class on Main, try the glass workbench. The Glass workbench was founded by Glen and Joanne Bishop in 1975, and today is run by daughters Jean Dryden and Julie Bishop Day. 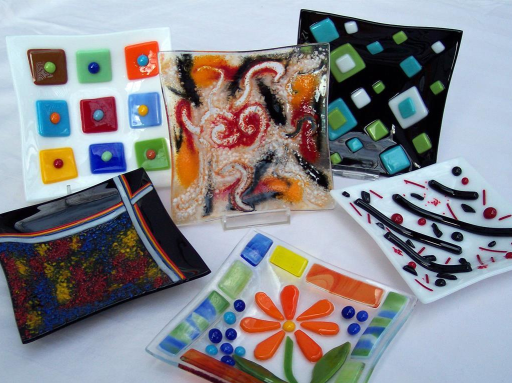 The Glass Workbench offers a few different classes, including Fused Glass, Stained Glass, and Mosaic Glass. In a class at the glass workbench, you’ll learn to create beautiful pieces of art that will last. For more information about classes at the Glass Workbench, click here. There are several wonderful classes offered at the Foundry Art Centre. I decided to dip my feet in by attending a class with resident artist Ann Croghan. Ann has been a longtime member of the Foundry, and her class was wonderful to witness. To my surprise, nearly every student was working with a different medium, and each had a different image that they were turning into artwork. At the class I witnessed, students were using watercolor, acrylics, oils, and colored pencils. Ann was helpful and a joy to be around. The work her beginner students produced was pretty amazing. She explained that she starts each student off by teaching them color theory, pointing out the handouts that some of the ladies were continually referring to as they worked. To learn how to make a true work of art- whether it’s a portrait, landscape, or other depiction- sign up for a class with Ann. Because her instruction is on an individual basis, you can join a class with Ann at any time during their semesters. For more information about Ann Croghan&apos;s classes, click here. For more information about classes at the Foundry Art Centre, click here. 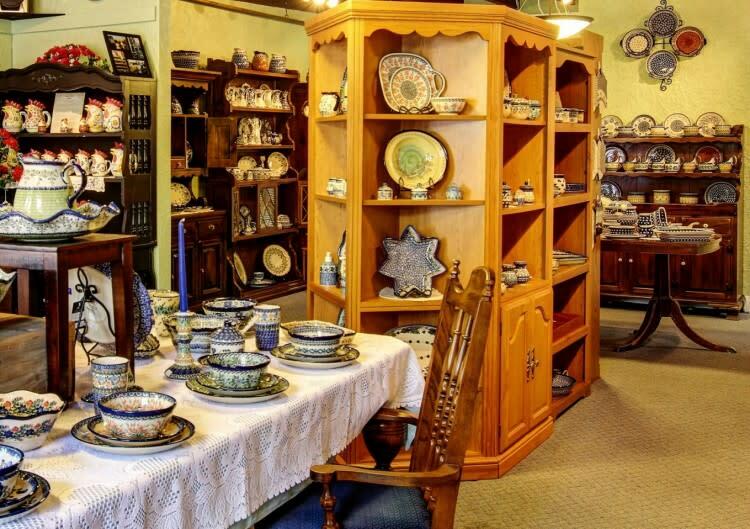 Siostra Polish Pottery offers classes that involve cooking with their beautiful polish pottery. Whether you’re interested in learning to bake polish cookies, crab rolls, or an American dish, these classes are fun to be a part of. Siostra’s classes are on break during the summer months, however, they are a community favorite and fill up fast, so follow Siostra on Facebook to register for fall classes as they are announced! For more information about Siostra&apos;s cooking classes keep an eye on their Facebook page: Siostra Polish Pottery & Gifts or click here. Comment to let us know what workshops and classes you&apos;re excited for, or the one&apos;s you have previously participated in!